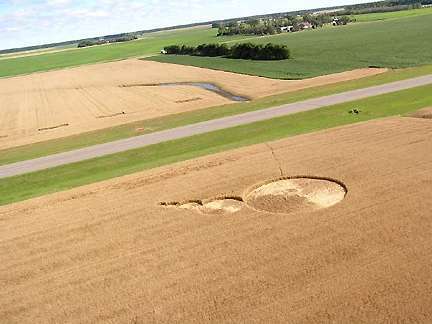 September 2, 2005 Williamsburg, Ohio – American crop circle activity picked up in the last two weeks of August 2005. There are five new reports. 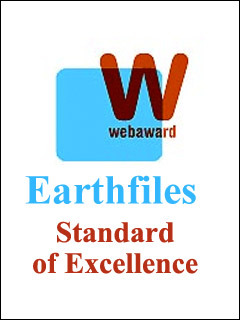 There were two new formations that were discovered August 12, 2005. The first one was in Canisteo, Steuben County, New York. One of the senior meteorologists for the National Weather Service in that area reported that there were two circular areas that were found flattened in corn. He found them while he was investigating damage from an F-1 tornado that went through the area. The circular flattened areas were off the main track of the tornado by about 30 to 40 yards. The larger circle was approximately 30 feet in diameter and the smaller one about 16 feet in diameter. The circular areas were not flattened all the way to the ground. They were only partially bent over. The tornado damage investigator went to look at the tornado track. Tornadoes leave a very specific and defined path when they touch down on the ground. This one was confined and the track crossed through some trees down in a valley that had a creek. The tornado crossed a corn field, clipped the corner of the field, took off a barn roof and went back into the sky. The investigator could not understand what produced the circles in corn 100 to 150 feet away from the tornado’s path. Canisteo, Steuben County, New York, is west of Elmira and southeast of Buffalo. 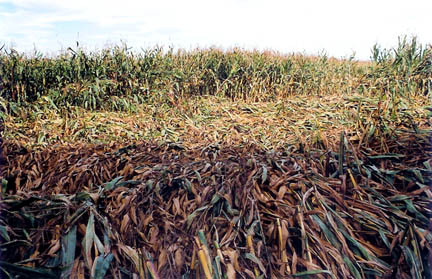 One of two corn circles in which plants were bent two feet off the ground, as shown in this photo, up to five feet above ground in interlaced “canopies.” Canisteo, Steuben County, New York, discovered on August 12, 2005. Photograph © 2005 by James Brewster, National Weather Service. “The Canisteo corn stalks were not flattened all the way to the ground, but were kind of bent over probably a foot or two up to about five feet off the ground. The partially bent areas were very circular. The National Weather Service meteorologist said he had never seen anything like it, even when he was in his training on what storm damage does to crops. He spent quite a bit of time out looking in fields in Nebraska and what storm damage does to fields out there. He said he had never seen anything that appeared like this in Canisteo, which is why he remarked they must be crop circles. So, it’s definitely unusual. 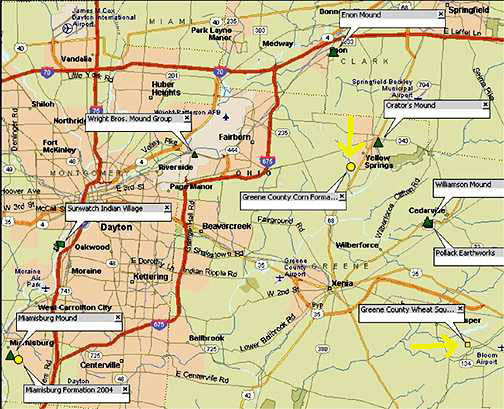 Two 2005 unusual crop formations in Greene County, Ohio, have both been east of Dayton, the home of Wright-Patterson AFB. The August 12, 2005, corn event was near Yellow Spring. The July 5, 2005, “herringbone weave” was south of New Jasper. 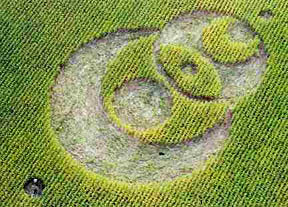 Both are east of the Miamisburg Mound, a large ancient earthwork in Ohio where the large corn formation below was reported on September 1, 2004. 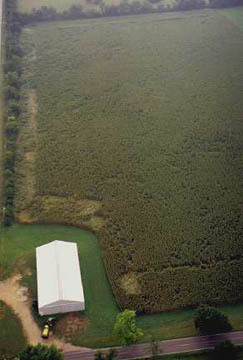 Miamisburg, Ohio, pattern in 8-foot-tall corn reported on September 1, 2004. Length is 222 feet. Aerial photographs © 2004 by Jeffrey Wilson. 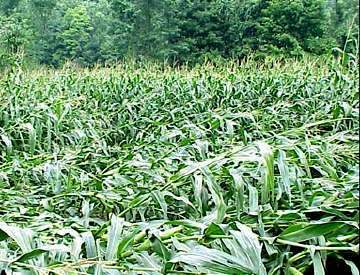 Reported August 12, 2005, corn raised off the ground as high as five feet in randomly downed sections of the field that were 35 feet wide and three-quarters of a mile long. Aerial photograph © 2005 by George Bieri. As rare as that is, there was a second formation that was reported on that same day of August 12, 2005, in Greene County, Ohio, 9-foot-tall corn. 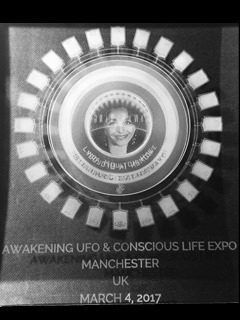 It was discovered by a photographer on a routine photo flight and it took a couple of weeks for the information to reach me. But I visited the formation August 28, and that formation is so extensive. It covers a substantial portion of the field. The randomly downed corn also seems to be raised up anywhere from 2 inches to 6 feet above the ground and this has resulted in creating several woven canopies, which you can actually walk underneath. In some places, such as the radial lay photo below, the plants were about two feet off the ground and I could walk on top. 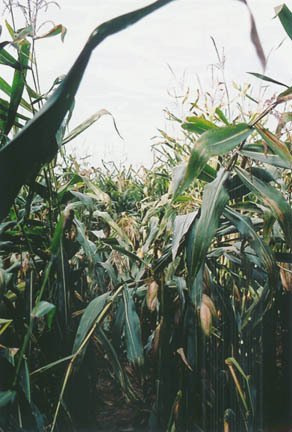 Nine-foot-tall corn partially laid over up to six feet above ground in a variety of patterns, including a radial lay from the center outward, Greene County, Ohio, discovered August 12, 2005. 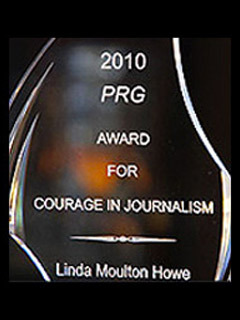 Photograph © 2005 by Jeffrey Wilson, ICCRA. Radial lay of corn from a center point flowing outward about two feet above the ground, Greene County, Ohio, discovered August 12, 2005. 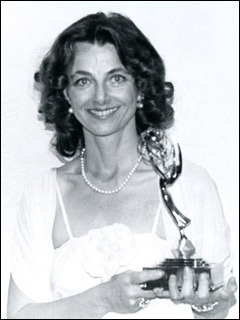 Photograph © 2005 by Jeffrey Wilson, ICCRA. It is incredible! Unfortunately, the farm owners do not want their names or location released to the public. We’re run into that this year because people are afraid of ridicule. It’s sad because this year in the United States there have been several remarkable anomalies, including these similar above-ground patterns found on the same day in two different states. AS YOU WERE LOOKING AT CORN THAT WAS BENT OVER AND ARCHED AS MUCH AS 6 FEET OFF THE GROUND, WHAT WENT THROUGH YOUR HEAD ABOUT HOW THAT COULD HAVE OCCURRED? I’ve never seen anything like it before. I’ve seen weather damage in fields before. I’ve seen what people do to hoax circles. I have not seen this kind of bending in corn fields prior to this. First of all, the length of the area that is flattened in a straight line is about 3/4 of a mile in length and probably close to 30 feet wide. AND ALL OF THAT WOULD BE RAISED UP OFF THE GROUND, JEFF? Yes, in certain places, anywhere from 2 inches off the ground up to 6 feet off the ground. BUT FOR 3/4’S OF A MILE! That’s only one side of the field. Then there are, the line kind of turns and makes a 90-degree angle and goes up the other side of the field. Although that line is not quite as wide, that line has the higher flattening of the canopy effect. 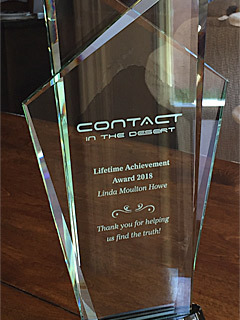 To be honest with you, it was the most strenuous effort to get through this field that I had ever experienced. I thought the worse was trying to cut through soybeans when you have to rip your way through it. but this was even more difficult than that. My legs from my knees down are just so cut up right now from having to try to wade my way through that stuff. It really took a toll on my body just trying to get through it. WHAT DO YOU THINK MADE THOSE CANOPIES? HOW? I could not begin to explain it unless whatever the energy was came down and something kind of interfered with it and created the scatter shot across the field that resulted in this not flattening all the way down. It is enormous. I can say this with some certainty ­ it is the largest area of flattening that I’ve had to go through with any formation. It’s really, really enormous! The aerial photo will give you an idea of the areas that were flattened, including the pockmarked effect across the entire field. If I had not seen the aerial photograph before I walked into the field, I would not even begin to have an idea what it would look like. The aerial I have does not quite show the radial effect in the one corner of the field because it was taken on an angle at the far edge at the back of the field. 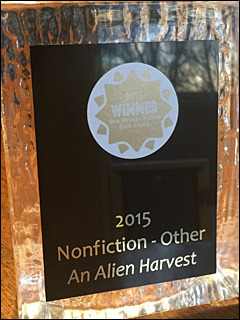 There is definitely some really unusual stuff in this field. 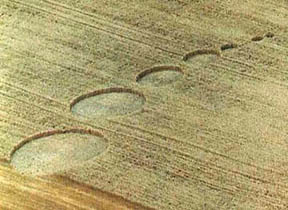 “Thought bubble” of five wheat circles, Northwood, North Dakota, reported on August 26, 2005. All five circles swirled counter-clockwise. Biggest circle was 68 feet in diameter; second 31 feet in diameter; third 18 feet in diameter; fourth 9 feet in diameter; fifth smallest circle was 6.5 feet in diameter. Aerial photograph © 2005 by Mike Nichols. 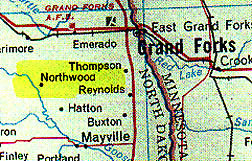 Northwood and Grand Forks are near the Minnesota border. The next report that has recently come about is on August 19, in Northwood, Grand Forks County, North Dakota. 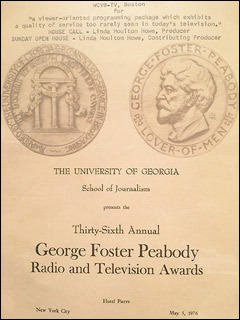 There was a series of five circles in wheat creating a ‘thought bubble’-type design. It was found in the day time by a pilot flying from the nearby municipal airport. The five circles are all swirled counter-clockwise, with the swirled centers actually being several feet off from the true centers. The circle sizes are from large to small: the first one is about 68 feet in diameter. The second circle is 31 feet in diameter. The third one is about 18 feet in diameter. The fourth one is 9 feet in diameter. And the fifth and smallest circle is about 6.5 feet in diameter. There were no tracks leading into the field that anybody can see originally. But there was no unusual plant damage reported so far ­ no expulsion cavities, no node elongations, that kind of thing. THE FACT THERE ARE NO EXPULSION CAVITIES OR LENGTHENING OF THE GROWTH NODES ­ DOES THAT SUGGEST TO YOU THAT IT MIGHT HAVE BEEN EITHER METEOROLOGICAL OR PEOPLE? It’s hard to say in this case. The wheat is so dry at this point. If there was some energy to affect the crop, it might not elongate the nodes because they have been dried out. This 2005 formation is very similar to another that appeared about 300 miles to the southeast in Owatonna, Steele County, Minnesota in wheat on August 1, 2000. Seven-circle wheat “thought bubble” was reported on August 1, 2000, in Owatonna, Minnesota. Aerial photograph provided by Jeffrey Wilson, ICCRA. Upper right: Yellow arrow points at location of the August 12, 2005, corn raised off the ground as high as five feet in randomly downed sections of the field that were 35 feet wide and three-quarters of a mile long. Lower right: yellow arrow points at location of “herringbone woven” pattern discovered July 5, 2005, by a farmer in a 44 feet by 35 feet rectangle of downed wheat. Map © 2005 by Jeffrey Wilson, ICCRA. 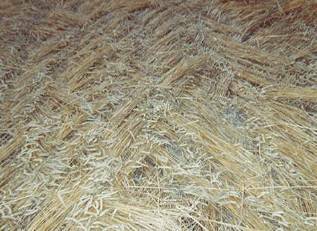 “Herringbone woven” pattern in Greene County, Ohio, discovered July 5, 2005, by farmer who requests anonymity. Further information BLT Research. Photograph © 2005 by farmer. 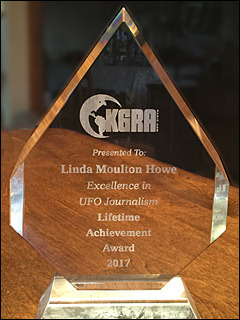 ·12/05/2003 — Diatonic Ratios and Seed Changes in 2003 California Wheat Circles Rule Out Hoax? ·10/03/2003 — Part 2 – Military Interest in Serpent Mound and Seip Mound Formations? 09/12/2003 — Second Soybean Crop Formation in Ohio Manmade. By Special USAF Investigation Unit? Previous PostPrevious What Is the Strange Texas “Chicken-Eater”?